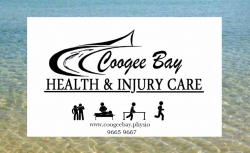 Our vision is to provide the highest quality Physiotherapy and Massage services to our community. We aim to do so in a caring and respectful manner that encourages our clients to participate in their care and take responsibility for their well being. Our vision is to establish an evolving science and evidence based online information hub that is free, easily accessible, user friendly, simple and clear. We see value in the provision of a platform that makes sense of the scientific literature related to health, pain, injury and rehabilitation. We understand that it is difficult to be a “consumer” in our modern day healthcare system. As such it makes sense to us that we should make an effort to present information in a useful and bias free manner. Our mission is to provide balanced assessments of the available literature, to assist you in your healthcare decision making. With respect to the provision of Physiotherapy and Massage services to our local community, our mission is to help you help yourself. We provide an environment that directs and supports your Health related goals. Our mission is to provide targeted information in concert with excellent manual therapy and exercise guidance. We do so with a view to promoting a sense of trust, openness, fun, safety, responsibility, integrity, autonomy and respect.